Wednesday, September 17, 1912: Had to walk to school through the rain. Also through the mud. Our class is deciding upon a class pin, but we’re making such slow progress in making up our minds as to which pin to take, that I doubt we’ll ever get them at all. 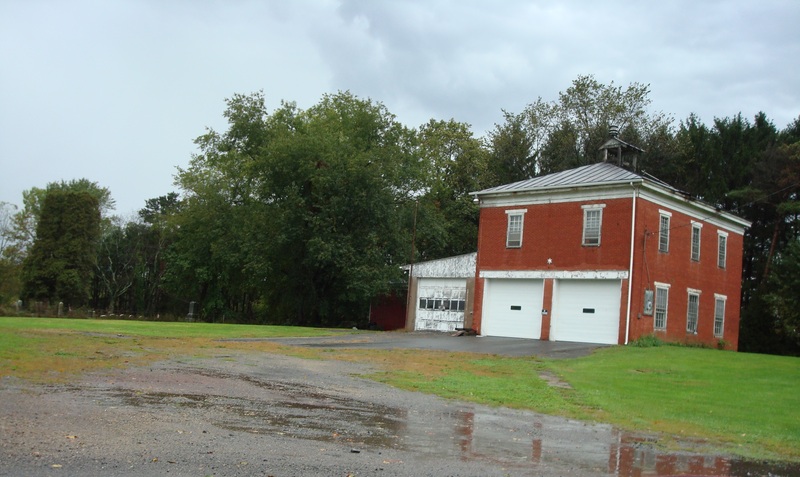 Recent photo of the building that once housed McEwensville High School. Yuck—a mile and a half walk to school in the rain on muddy dirt roads. It sure doesn’t sound like fun. Did Grandma wear galoshes to school? Did Grandma and her classmates have a catalog that they were going to order the class pin out of? . . . or were they planning to order it from a sales representative or at a nearby jewelry shop? Grandma’s class was small. Only six students graduated in Spring 1913 from McEwensville High School. It’s amazing how much effort they put into creating a class identity. A few days previous to this diary entry, Grandma wrote about the differences in opinion about class colors and now they can’t seem to agree on a class pin. Posted on September 18, 2012 September 18, 2012 by SherylPosted in OtherTagged diary, family history, genealogy, hundred years ago. I still have my class ring and key around someplace. However, I have not seen them for awhile :-). I can see why it was given so much attention. Pins were so important in their fashions and had been for decades. I have my husband’s great grandmothers little pocket watch that is dated 1912 and it’s long chain with a pin and a little diamond on the slider. It was worn around the neck and pinned on the shirt or jacket. No one wanted it because they didn’t know it was solid gold and it needed fixed. I kept my mouth shut and have taken very good care of it and had it cleaned. She was given it as a gift when she was 13. There was also a broken cameo that I just love but never had it reset. She also wore in her teens. Buying a class pin would have been a big purchase for them and price would have been a major issue. I bet the class colors were picked for that pin. Rainy day here in Williamsport (100 yrs later) – my daughter needs to walk around campus at Penn College in it, although not a mile and a half and on muddy roads, but still not pleasant. Your comment brings back memories of my student days when I walked around the Penn College campus in the rain–back when we fondly called it WACC. phew I am glad – not too many people remember anymore or choose not to…We moved here the year they built the new school. I guess her pin never showed up later as proof? I have my father’s football pin, and varsity sweater as well. His school was a bit larger–Susquehanna HS. And, it was 1949. As far as I know, the pin never turned up. I never wear it, but I did buy a school ring, it was gold and a bit of an investment…I wish it was a pin, that’d be more fun to have now. I didn’t buy a class ring, but instead talked my parents into buying me an opal ring. I found the opal ring a year or two ago, and started wearing it again. I’m surprised how good my taste was.